How can acupuncture benefit breastfeeding? Home / Acupuncture / How can acupuncture benefit breastfeeding? The postpartum time can be very challenging, from recovering from your birth to not getting enough sleep to having trouble with breastfeeding. Acupuncture can help. As an acupuncturist and a birth/postpartum doula, I am happy to talk with women about their specific situation and see if acupuncture may be able to support them. I also refer out to International Board Certified Lactation Consultants when appropriate. Please call the office to find out more. 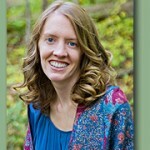 Monica Mae Leibson, Acupuncturist & Birth/Postpartum Doula, Specializing in the childbearing year.